I’ve been “following” a zero-waste lifestyle for about a year now. I put “following” in quotes because I’m definitely not 100% committed to it. Not going to lie! It’s actually very hard! I commend those who are truly dedicated and produce no trash, reuse items, recycle when possible, and re-purpose. However, I do what I can. I’m not perfect at it. And I may not be able to put all my trash in a jar, but I do what works, and maybe one day I’ll be able to eliminate trash altogether. Baby steps! I’ve also noticed I save a bit more money from no longer purchasing certain items and using what I already have or can find around the house. Bonus! 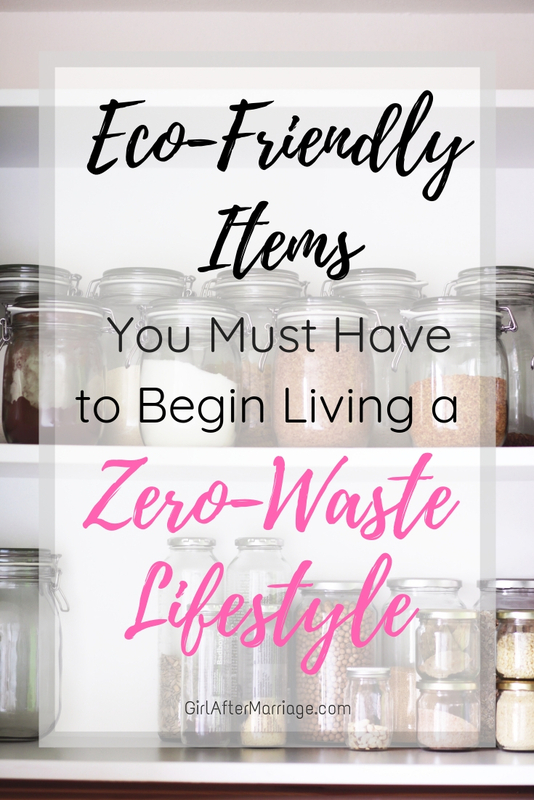 Although going full force into the zero-waste lifestyle isn’t possible for everyone, there are still little things you can do to incorporate it into your daily life, just as I have. Loose leaf tea, pasta, nuts, spices, coffee, smoothies, flowers, herbs, cotton pads – glass jars can be used for anything! Say goodbye to plastic packaging and embrace the use and look of glass jars. I love having various sizes of jars to hold my dry pantry items, drinks, pens and cosmetic items, and it looks so unique and different seeing all these different jars filled with various items. Places such as Ikea or Homesense also sell glass containers to hold larger quantity items, such as pasta noodles, rice, and cereal. I personally reuse pasta sauce jars, so you don’t even need to go out and buy jars. If you have any food packaged in jars, such as sauces, pickles, or honey, save them and reuse for another purpose. Cutting out plastic straws sounds like such a simple thing to do when going towards a zero-waste lifestyle. Others might think it may be too much of a hassle. But it does make a difference! Metal straws are the way to go! I haven’t purchased plastic straws in months! 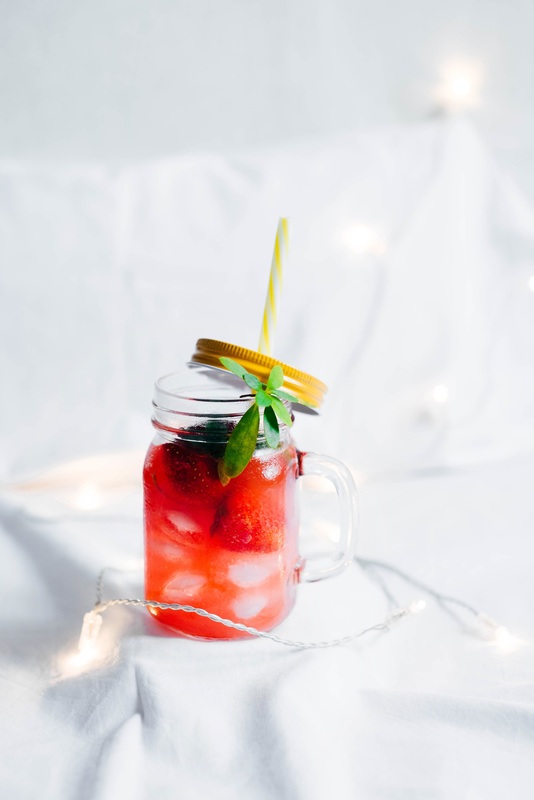 I use metal straws for all my drinks, and they are so easy to wash with a straw cleaner or even just pop them into the dishwasher. Definitely worth investing in. I love using glass jars to hold water, coffee, smoothies, or whatever I’m drinking. But if I want to be on the go, I need something to cover my beverage. When I discovered mason jar lids with a hole for a straw, I was thrilled! I can use any jar I want and use it as a to-go cup. Get a compost bin if you do not have one already. Food isn’t trash and obviously isn’t recyclable. But it can be reused in its own way. Food scraps, fruit and vegetable skins, seeds, anything organic can be broken down and put back into the earth. If it is in the landfill amongst the trash, it cannot be properly composted. Sure, it might eventually degrade and become a part of the earth in its own time. However, it’s a much longer process, and it is just sitting there with trash! It won’t really have a benefit on the planet. Having a compost bin is no different than having a recycling box or trash bin. It’s just one more thing to use to separate food waste. It doesn’t take any extra effort or time by doing so. Instead of using plastic bags the store offers (which many you must now pay for), buy some cute reusable shopping bags! Most grocery stores offer their own bags for a couple dollars, or you can sew your own if you have a creative side. Buy a cute wicker basket if you shop at farmer’s markets, or find some handmade and adorable designs online, such as from Etsy. I’ve been using reusable bags for almost 2 years now. I keep them all organized and folded into 1 bag and leave them in my car. Any bags I do use and bring into the house, I leave close to the front door, so it’s easy to grab and go. Ever since I invested in mesh produce bags, I no longer use the plastic ones offered at grocery stores. This is honestly the best purchase I made when going towards a zero-waste lifestyle. I make sure to carry them in my reusable bags so that I don’t forget them at home. After a few uses, you can simply throw them into the washing machine, and they are as good as new! A great item to replace paper towels is microfiber cloths. I’ll be honest, I still do purchase paper towels for those yucky messes that I need to clean up and throw away. I have animals, sue me! But if I’m cleaning tables, windows, or other surfaces, I use microfiber cloths. I throw the dirty ones into their own laundry bin, and once I run out, wash them all together, ready to be used again. I’ve been using microfiber cloths for about 6 months now and actually prefer them over paper towel the more I use them. This is the same concept as the microfiber cloths. Instead of buying cotton pads to remove your make-up or apply toner, use these bamboo cotton make-up remover pads. Once they are used up, throw them into the wash in their mesh laundry bag on a gentle cycle, and use again and again! Are you a baker? Use silicone cupcake liners instead of paper and silicone piping bags. Baking mats are also a must! 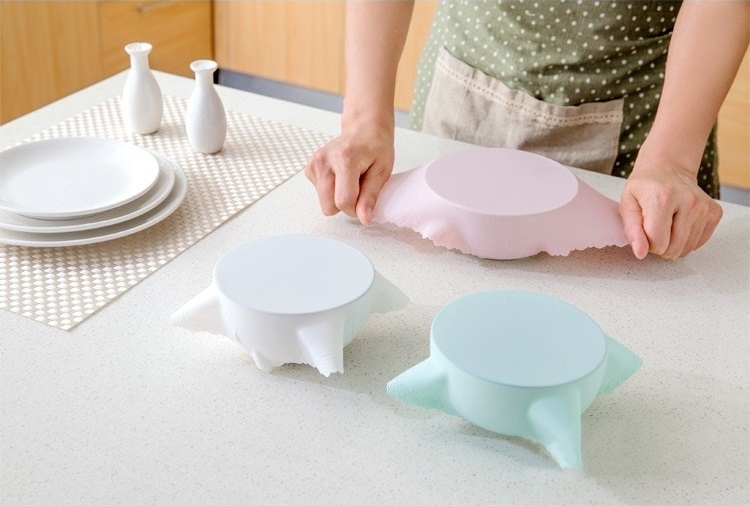 It makes rolling dough much easier with a easy to clean and even surface. Also, use a ceramic pie dish instead of buying the pie shell ready-made in tin foil. You might need to spend some extra time making the pie shell, but that just means it’s really homemade, healthier, and created with love. You’ll be more motivated to do this if your pie dish is cute. I have a pink one I received as a bridal shower gift and I love it! I haven’t purchased plastic saran wrap since last April! Ever since I purchased some basic food covers at the dollar store, acquired beeswax food wraps, and silicone saran wrap covers, I have no need for it! Saves a few dollars every year and the planet! And there you have it! Such easy and affordable switches that can be made to live a more zero-waste lifestyle. I’d love to hear in the comments below what other things you do to go more zero-waste. Have you made any of your eco friendly products or had any success/favorites with the reusable food covers? Yes! 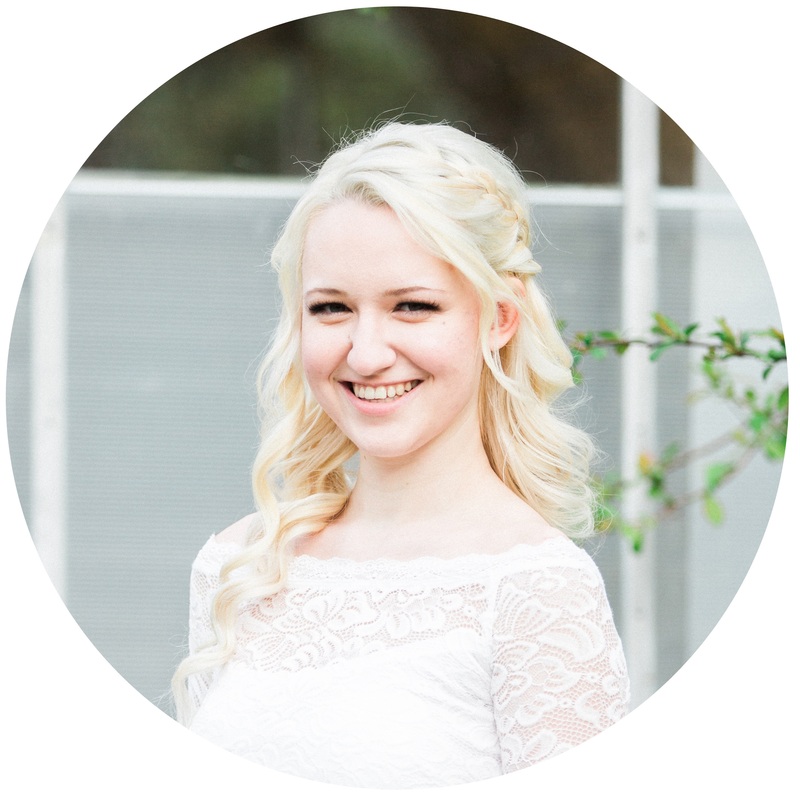 I make my own cleaning products as a part of my eco-friendly journey, and I have great success with the reusable food covers. Surprisingly, my favourite ones are the ones I purchased at my local dollar store. They come in various sizes for all bowls, and if they get food on them, I just rinse under the tap and let air dry. I do plan on making beeswax food covers in the future when I find some spare time, since the ones I currently own, the wax has somewhat rubbed off? I’d like to see if I can make my own and maybe create some that last longer.